I cut this one more than a year ago but I never found the time to work on this until last week, after I received a request for a similar item. Throatlatches are a bit too long, but I can always shorten them. 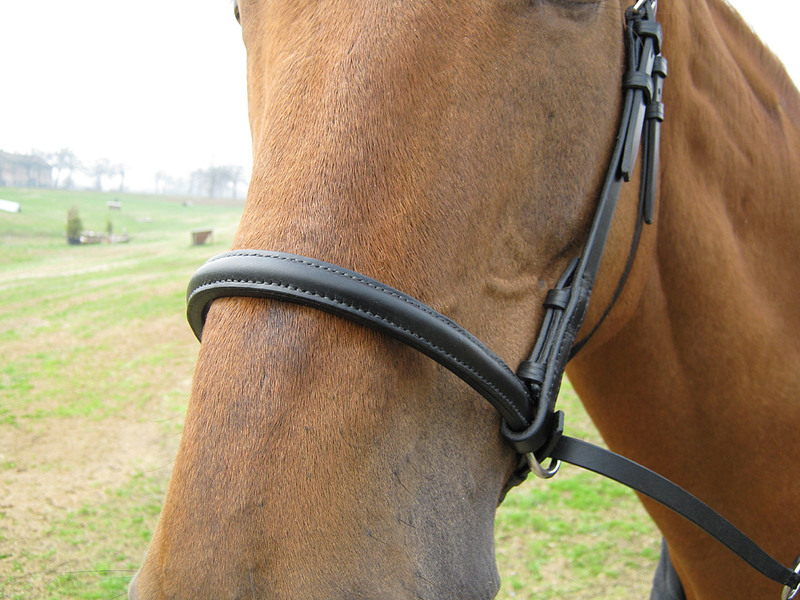 Black leather, size full, raised brow- and nose-bands. 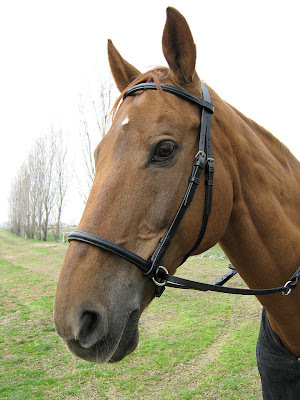 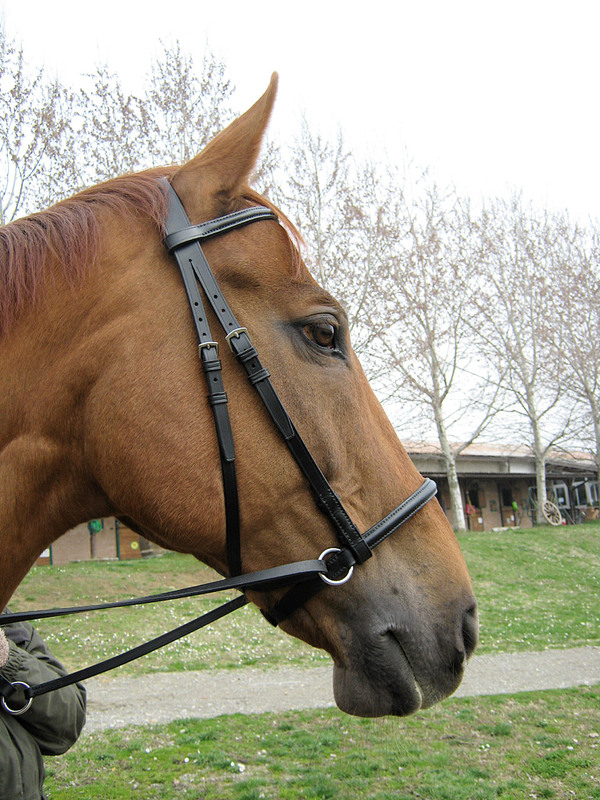 Noseband is kept in place with regular hook-type bit billets, so it can slide left and right. 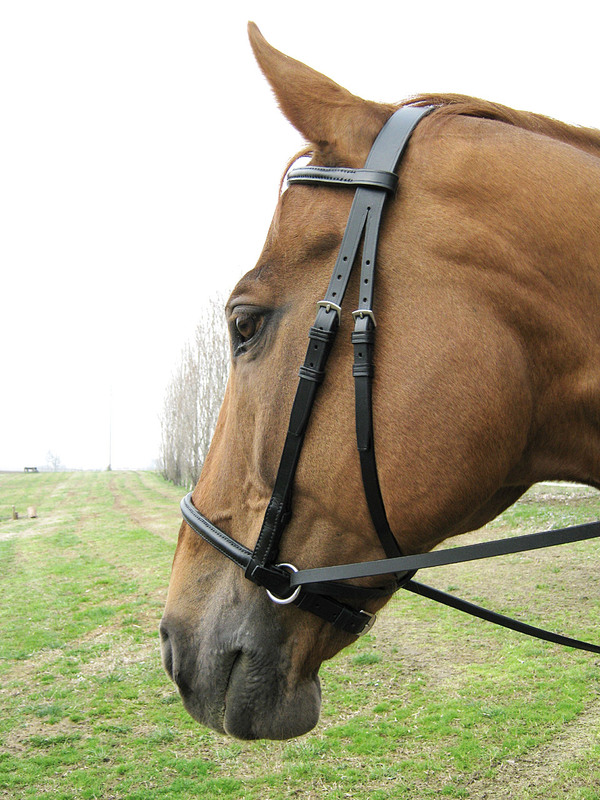 Stainless steel rings act also as stoppers to this movement. 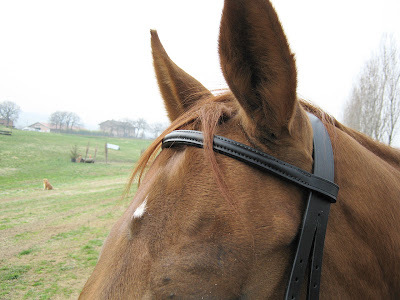 Soon I'll post pics of the one I'm making in these days, cob size and hazel leather.